I remember one Sunday morning growing up where my family skipped church. My dad called the kids down for some “bed-side Baptist” where he gathered us together for a time of reflection. At one point he asked us if there was anything we should pray for. I remember the look of perplexed shock in his face as I stated that we really needed to pray for the dolphins. 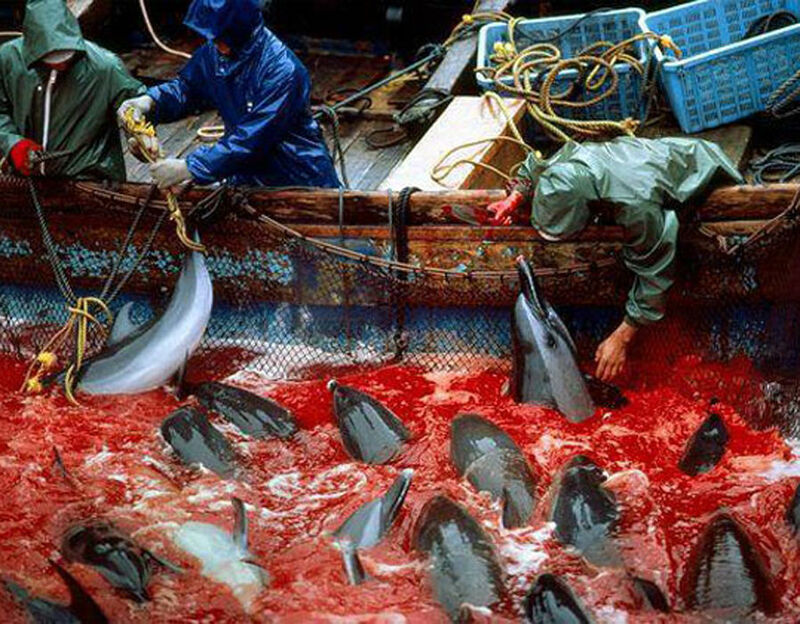 Earlier that week I had seen a photo of a dolphin drive hunt in a photo from National Geographic. There was something overwhelming in the image of these creatures tangled in nets and thrashing in the blood of their kin. As I began to explain the situation to my family I began weeping hysterically. My father had to hold and rock me in his arms to calm me while we prayed. In my 30th year the destruction of our planet’s biodiversity still makes me ache. The true innocent emotions of the child within me weeps and I feel overwhelmed with the hopelessness. I think many of us who read this blog have that same emotion when we encounter this topic. Typically, we wire our brains to look the other way in the face of such destruction. Today, I want to remember that depth and move forward with the agency of an adult to impact change. A child feels completely powerless to do anything about the destruction of the Earth. It is a horrible feeling. I want to encourage you to slightly tweak your instruction on biodiversity to include some pragmatic action on the student’s part. I think we can turn students from being bystanders in this great saga of our age into active citizens who engage the issues that threaten biodiversity. Lets suppose that we have a student who writes an excellent essay on how to mitigate the loss of biodiversity. They turn in the paper and receive some sort of grade. This teaches them that this issue is real. However, I wonder if this does more harm than help. By not leading our students through a concrete example of how their actions can mitigate the loss of biodiversity I think there is a learned helplessness that we pass on. The NGSS relating to this objectives are stated: that a student will design, evaluate, and refine a solution for reducing the impacts of human activities on the environment and biodiversity. HS-LS2-7. We need to teach our students to implement a solution as well. I don’t think that the scale of the project needs to be big, but I think the emphasis on their ability to learn and act creates the type of growth we should hope for in our students. So, how I am trying to work on this topic? I have been introducing the topic with a video that I love by some great film makers. 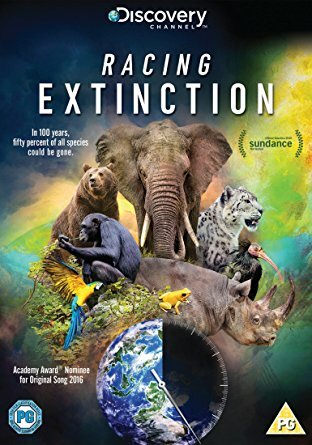 It is called Racing Extinction. I have students write an essay on one way that biodiversity is impacted by one of the following human-driven factors: Agricultural Methane Emissions, Air Pollution, Coral Bleaching, Deforestation, Depletion of Freshwater, Desertification, Eutrophication, Fossil Fuels & Climate Change, Habitat Fragmentation, Human Overpopulation, Invasive Species, Overgrazing, Overexploitation of Renewable Resources, Plastic Pollution, Seasonal Mismatch & Climate Change, or Water Pollution. Then they make a presentation that covers this same topic. They must have three examples of cases where the human driven factor takes place, and each example must be accompanied by a graph that the student interprets in front of the class. (I would not let them do the topic of poaching, because so many students just pick this topic since they are comfortable with it). 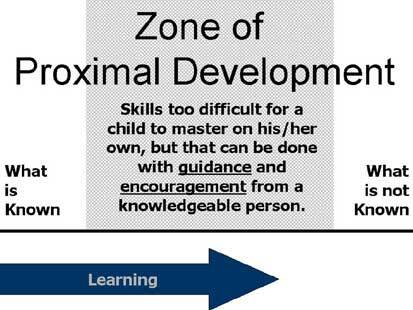 By forcing them to pick one of these less known topics they are in a better “zone” for growth. So, they write their essays and then they do their presentations. By the way, this is really similar to what Jeremy Mohn at Blue Valley Northwest does. 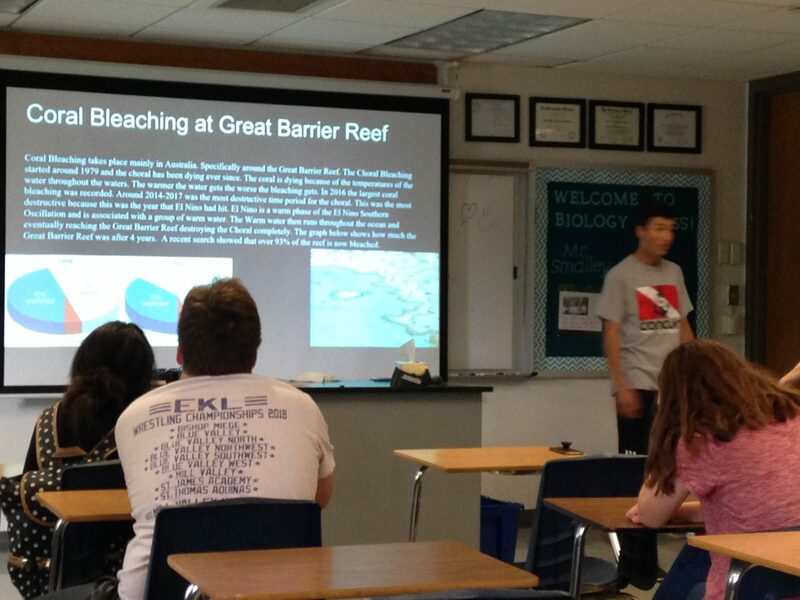 Student presenting on coral bleaching. The thing I tried this year was to see how exactly it would impact students if they did do some additional volunteer work. I incentivized this by attaching extra credit to it. Also, Chris Ollig and I needed lots of help planting prairie plants on ¾ of an acre at Blue Valley North. Here are the differences between students who did the volunteer work versus those who did not. 5 I will definitely be involved in solving some environmental issues by using my time energy and resources. 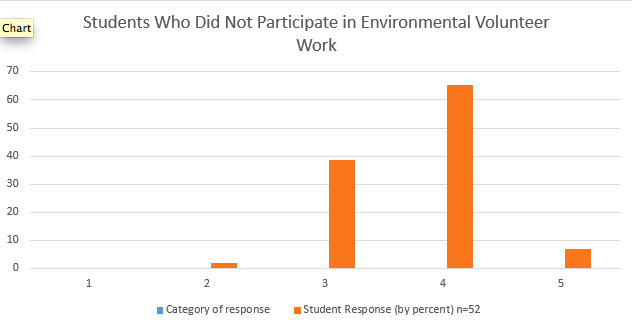 Students who did participate were 12% more likely to ‘definitely’ be involved in solving environmental issues in the future. However, they reported being more ambivalent about their future involvement in some of the programs that they were a part of. I find this confusing. Perhaps these were more realistic people? 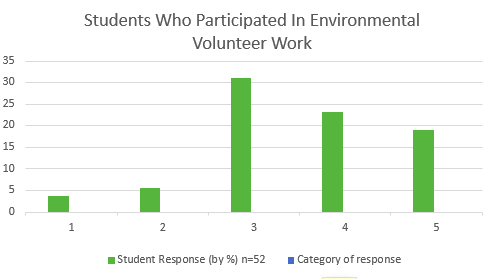 This non-participatory category shows 64.5% of students in category 4 who promise that they “I will likely be involved in solving some environmental issues”. Yet, they weren’t able to fit it into their busy high school schedules. I find this high number of category 4 very interesting. Perhaps we tend to think of ourselves as better people than we truly are. I am disappointed that my results aren’t clearer to interpret, but I still think that I am headed in the right direction in my approach to get students to act on what they learn. This year our students raked in seed for our prairie, organized stream clean ups, recycled, drew inspiring messages about saving the planet on our school grounds, and helped planted a native garden. 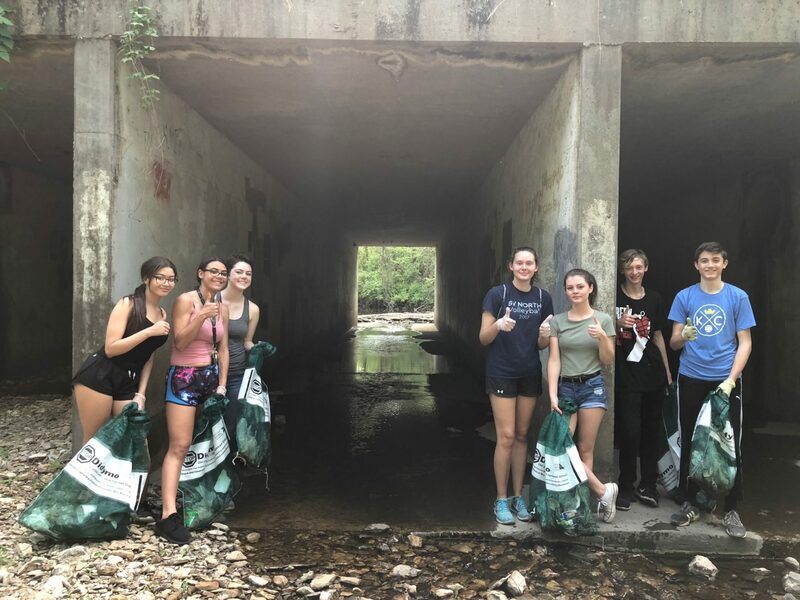 These students independently organized their own stream clean up. 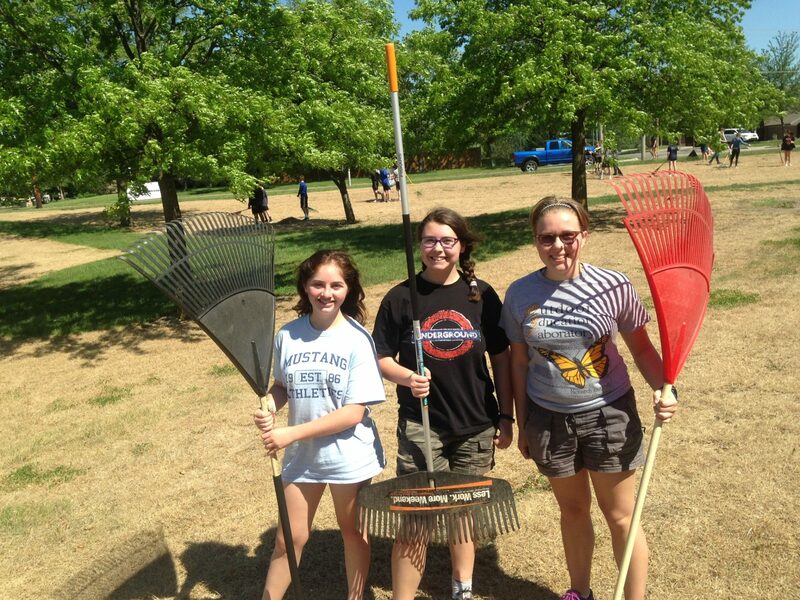 Students raking away dead grass thatch and helping seed native forbs and grasses in Blue Valley North’s new prairie planting. 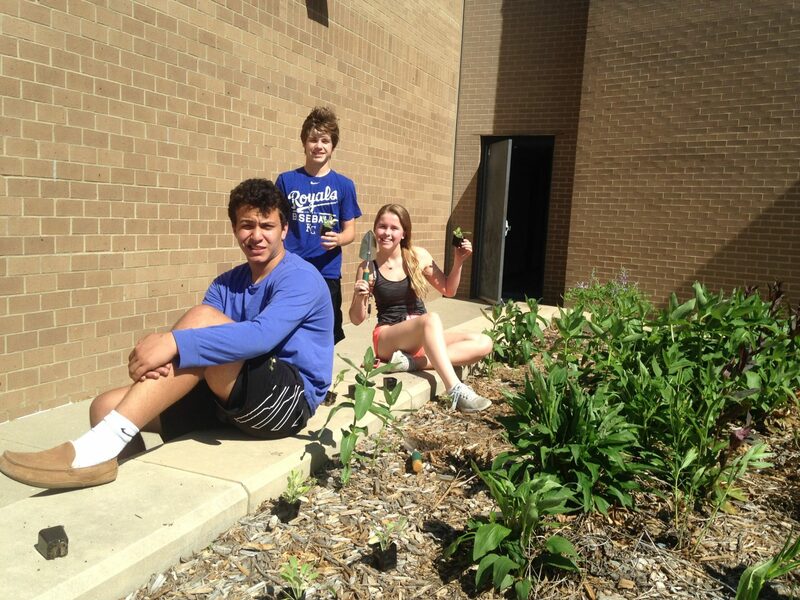 Students put in native plants to a garden. The ecology club stratified and germinated the seed. If that sounds like a lot to you, there are some other ideas about ways that you could help to get your kids involved in acting on what they learn about in relation to the loss of biodiversity. -Clarify the connection of any plantings in a wildflower garden to the increase of biodiversity. -Count the number of monarch caterpillars in a wildflower garden over several years. Have students plant new milkweed stands. -Ask students to measure off a 5 ft by 5 ft area of their yard or lawn and let it grow wild. Ask them to post a picture of the plot and describe some of the changes. -Instead of having students simply turn in papers have them publish them online or mail them to appropriate persons. -Have them write a song about protecting biodiversity/the planet. -Have them publish a video they make about their topic. -Create a wildlife’s most wanted wall in your school. I did this two years to bring awareness to different species that are being poached. We lined the science wing with “mugshots” of animals that were being poached to extinction. -Force them to have a conversation with an adult they know on the topic on biodiversity they are researching or that you are researching as a class. Have them turn in a selfie. I did this with my class. Did some of them cheat?- I’m sure but many had wonderful conversations with adults. Better yet get them to contact a researcher in their field and ask for guiding advice on a research project. Thanks for sharing Smalley. Looks great!